Situated on Thiam Ruammit Road off Ratchadaphisek Road, about 100 metres from the Thailand Culutral Center. 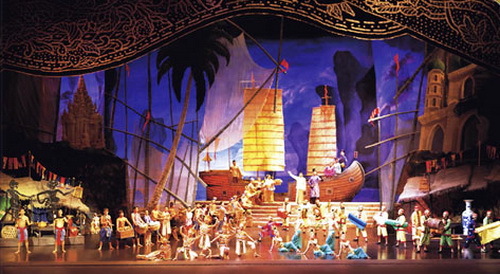 Siam Niramit is a one-of-a-kind cultural theme complex offerring a world-class spectacular performance in a 2000-seat theatre. The 80-minute show features 3 stories of Thailand's cultural heritage: Journey Back into History, Journey Beyond Imagination: The Three Realms and Journey Through Joyous Festivals, with the magic of state-of-the-art technology and special effects.